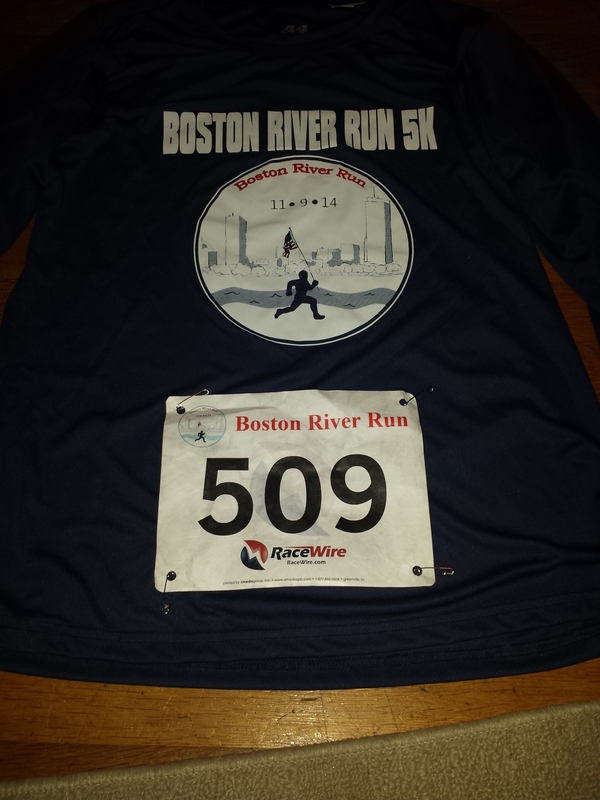 A couple weeks ago, I asked my brother if he wanted to do the Boston River Run 5K with me. David has been running insanely well lately – so even though I haven’t been running much at all lately and am rather broke, I promised him I’d still do it because I know how much better it is to run with someone else. Unfortunately, my brother was really sick this past weekend and had to cancel. I promised to go pick up our shirts, but I wasn’t convinced I’d be able to run. First of all, Florida played at 7:30 Saturday night. I knew I’d have at least a few beers, and I didn’t get home until almost midnight. I set my alarm for 7:30 and laid out all my gear and thought, if I’m not feeling it, I’ll just go get our shirts and go back to bed. I woke up Sunday morning feeling great. My legs were tight – probably from the beers and not enough water – but it was a cold, crisp morning and I much prefer that to blazing hot. So I went. 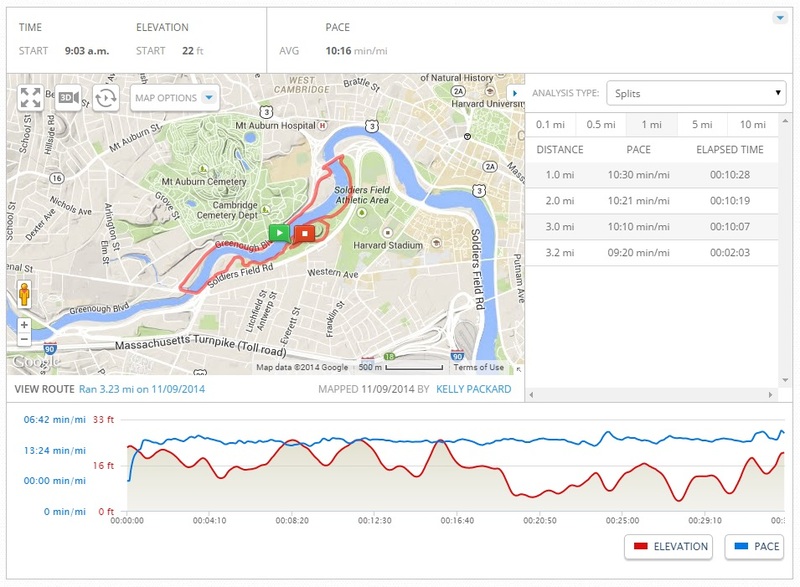 It was a beautiful course along the Charles River in Allston/Watertown. I was really cold while waiting in line for the portapotty and at the start line, but like clockwork, I wanted to rip off my long-sleeve dry-fit shirt pretty soon into the race. There were a LOT of people. 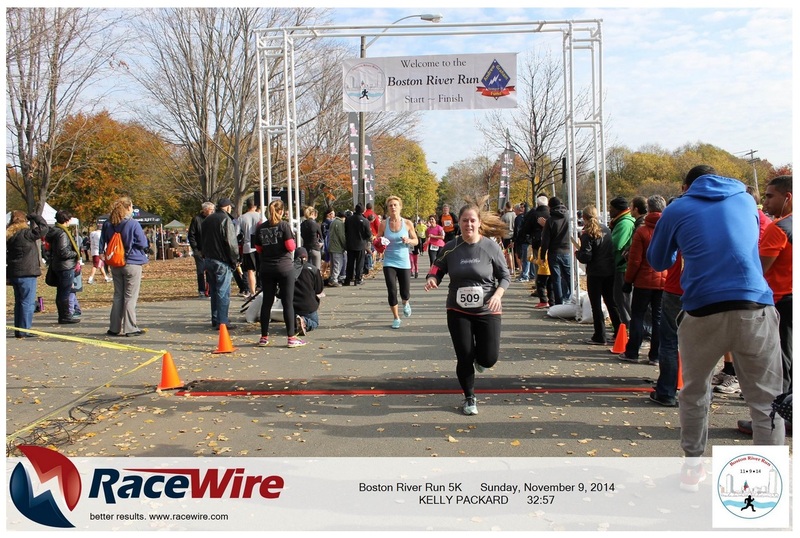 Not nearly as many as the BAA 5K, but this was also a much smaller course along a partially paved path. I kept pace with others for a while, then felt claustrophobic (problem of a short person) and decided to pull ahead. When my MapMyRun lady chirped in my ear that it had been half a mile (when you only run 2-3 miles, you set your interval alerts for half-miles!) and my pace was around 10:50 something, I thought, OK, not bad. I’ve run exactly once in the last month, and I have a mother of a blister on my foot. It was a rather uneventful run. I didn’t cramp, there were no moments when I wanted to stop. I wish there had been more than one water stop because I was parched, but I felt surprisingly good. When I saw the finish line, I booked it. I just wanted to beat my last race time of 32:20. The clock said 34-something, but I started late. MapMyRun said 33:09, so I really wasn’t sure. They weren’t posting times, so I grabbed some water and snacks and headed home, knowing the times would be online later. And they were. So I didn’t PR, but I felt good the whole race despite basically no recent training, whereas the race I ran a 32:20, I felt awful the whole time (I did a bar crawl the previous day) and had been training. So I guess I’d call yesterday a success. 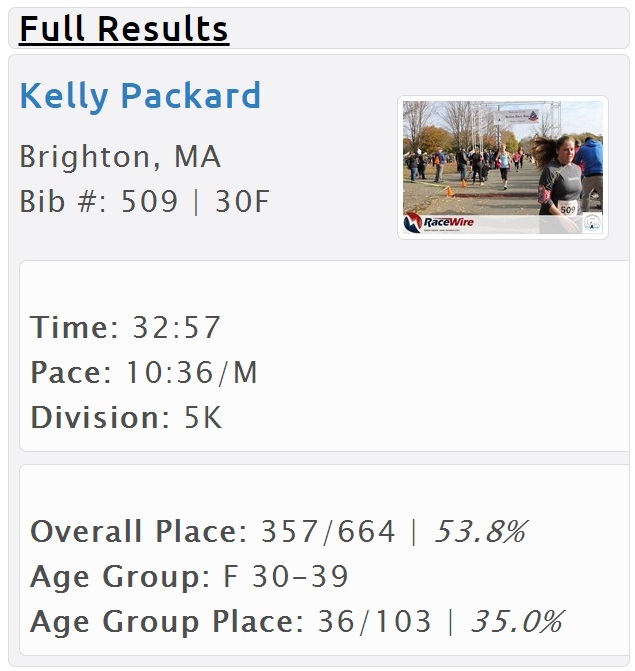 It was also my first race a 30-year-old, and I’m pretty happy with how I did within my age group. Next up? Hopefully the Stuffing the Pantry 5K in East Longmeadow on Thanksgiving morning. David works at Target, so naturally he won’t be able to enjoy Thanksgiving whatsoever, including running with me. And then hopefully the Cambridge 5K Yulefest with the other Boston SEC alumni on December 14.